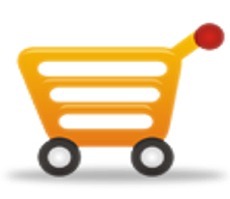 Safco 3251BL Onyx Deluxe Organizer - Qty. 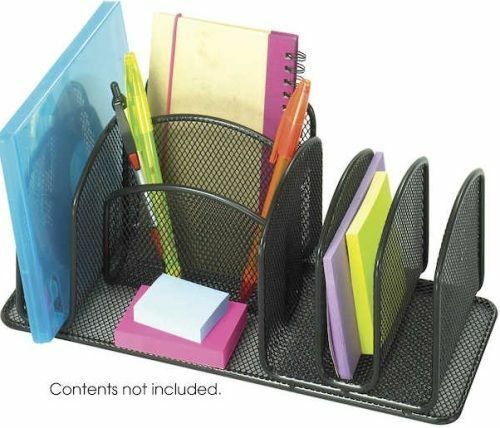 6, 5.25" - 5.25" Adjustability - Height, Wire mesh desktop organizers, Aid in easy office organization, Steel mesh design, Durable, black powder coat finish, Four side compartments, Two small compartments, Black Finish, UPC 073555325126, Packed six per carton. The Safco Onyx Deluxe Organizer is an effective unit for clearing and saving desk space while keeping files and supplies organized. It features multiple storage sections of different sizes to fit a variety of items for easy office organization. It has four side compartments for holding pads and envelopes and two center compartments that can be used to store scissors, rulers, and pencils. An open center space is also available for keeping small items. This organizer is made of steel mesh with a powder coat finish and is GREENGUARD certified for low chemical emissions.